What a fantastic pub! Loads of character and a great atmosphere. Everyone was really friendly and there was a great buzz about the place when we visited on a Friday night. Beers were top notch too. A hard place to leave – we will definitely be back! So djwhisky tells us there are no high chairs for babies. Hoorah!! 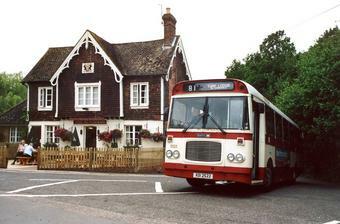 This is obviously a good pub to go and visit. We were going to take the Spa Valley Railway from Tunbridge Wells out for a Sunday lunch with our friends and our and theirs 19 month old kids... On booking and trying to get high chairs they said they didn't have any!! So let's get this right, you run a foody pub (the ONLY pub) at the end of a popular kiddy friendly tourist attraction and you don't think it's wise to maybe get a couple of high chairs in - seriously missed opportunity on their behalf! This place is a cut above the rest. Great service, great food, great choice of beers! Always a lovely atmosphere, and everybody is so friendly you feel at home within minutes. 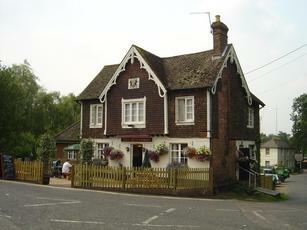 If you are looking for a pub pub, then look no further. Dogs welcome, this is a proper english pub and i bloody love it!!!! My wife tried to make a lunch booking for ourselves & 4 friends but was told they did not do lunch on Mondays.Hey- ho we thought, we will walk there for a drink. When we got there we were politely told by the barmaid that the pub was shut for a private function. Having walked there for an hour I said that it was a pity that we were not told this when making the initial enquiry and left. I was stopped after 3 yards outside by the landlady (so she said) who berated me for being rude to her staff! When I tried to explain she started screaming at me at the top of her voice that I was banned! Apparrently the louder you can shout the more right you are!